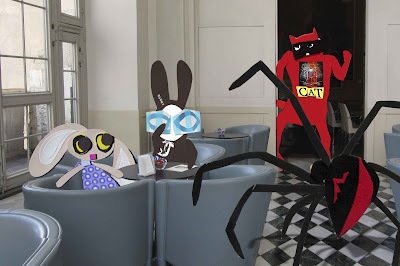 The Wabbit was just about to order when in walked his Special Guest. 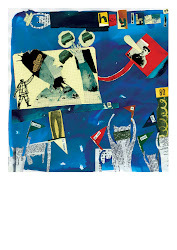 He raised a paw in salute and Duetta the Red Spider made a squiggly wave. "Duetta, you saved the day!" cried Lapinette. "It was all in the Wabbit's plan," said Duetta. The Wabbit didn't look around, but he knew Skratch the Cat was approaching and he braced himself for the inevitable and silently mouthed the words he knew were coming. "Wabbit!" cried Skratch, "what kind of adventure were we just in?" 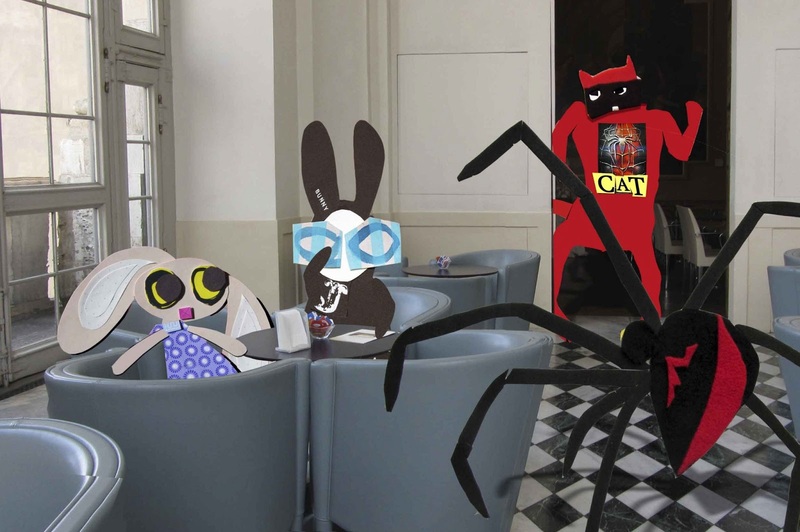 The Wabbit was about to say something - but Skratch drew himself up to his full height and kept going. "It fell roughly into a new genre called "natural horror", which is, in itself, a sub genre of eco-horror." "Hah," shouted the Wabbit with glee. "Genre is merely a commercial device to attract the audience." "No, no," said Lapinette. 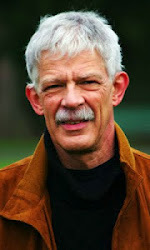 "Genre is a negotiation between the audience and the adventure, so that everyone knows where they are." Marshall Duetta Spyder laughed. "You're all wrong," she smiled. "It was a satire about the popularity of bad food." "What do you consider good food, Duetta?" asked Lapinette. "The dissolved insides of small insects," said Duetta.